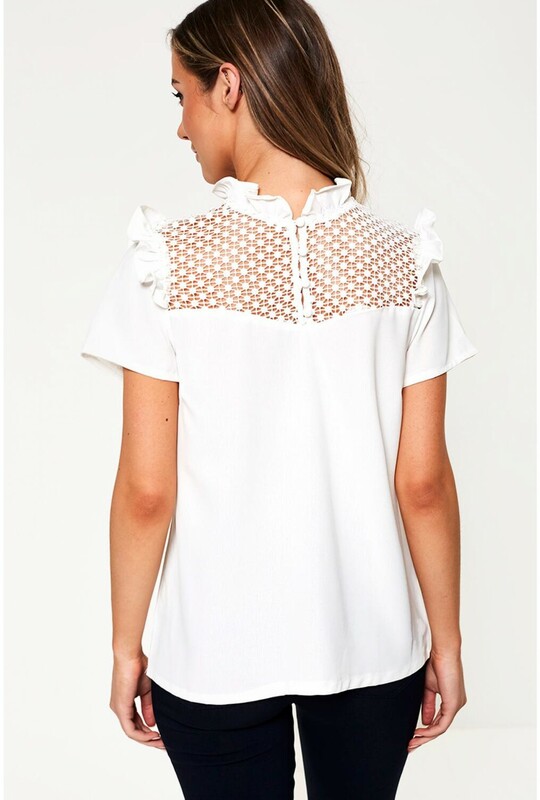 Every wardrobe needs dependable tops to wear with separates. 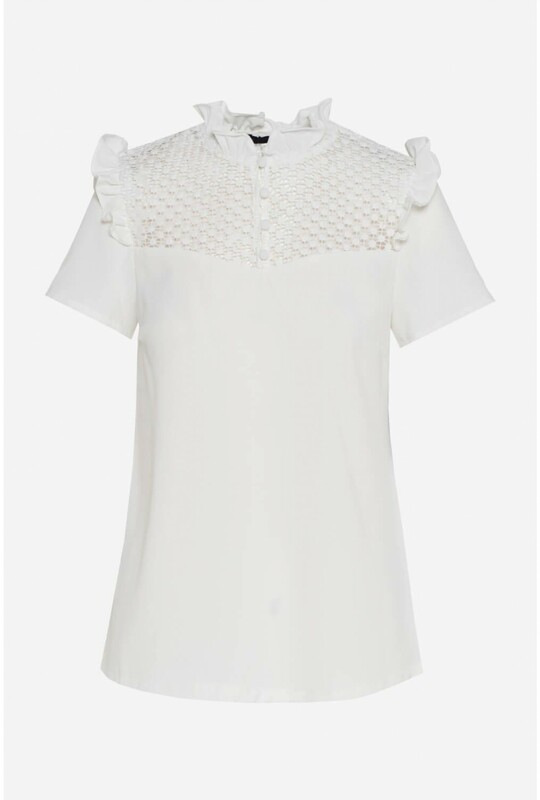 This white short sleeve top is feminine and elegant, featuring delicate button detail and frill detailing. 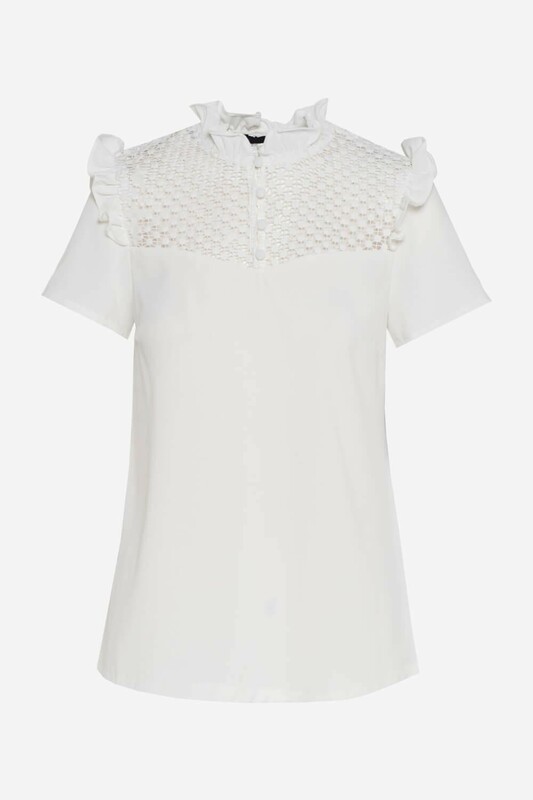 Style with denims, skirts or tailored trousers.